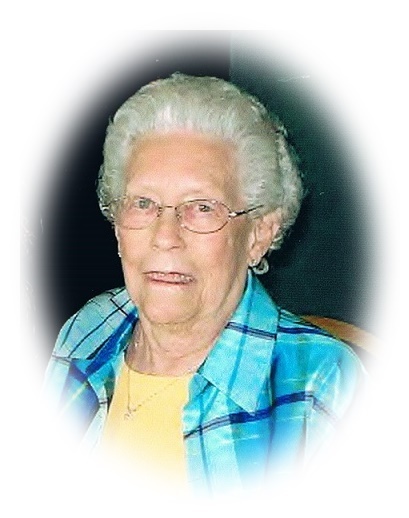 Patricia “Pat” L. (Knoble) Gorman, 90, passed away peacefully under the care of Stein Hospice at the Portland Place in Sandusky on Tuesday, November 6, 2018. She was born to the late Dr. Ross M. and Helen B. Knoble. Pat was a life-long resident of the Sandusky area, graduating from SHS in 1946. During her High School years, she was active in the A Cappella Choir and Fram staff. She graduated from Denison University in 1950 and was a member of the Alpha Phi sorority. Pat was an avid and expert knitter and proudly supported WWII efforts by knitting assigned projects for soldiers for the American Red Cross. After graduating from Denison, she returned to Sandusky and worked as an insurance agent for over 60 years; initially at Reutler Insurance with her Uncle Rollie and most recently at Strayer Insurance. Pat was a life-long member of the First Presbyterian Church, Sandusky, where she served as the treasurer and trustee. She was an avid reader and was always happy to pass along the most recent bestseller from the book of the month club. In her later years she volunteered her time by providing transportation for area patients having eye surgery at the Cleveland Clinic Eye Center-even those whom she did not know. She was the oldest member of a close-knit group of women who initially connected at the Sandusky Curves gym. Pat joined the ladies weekly for breakfast up until last week. These special women provided a multigenerational support and kinship to each other for decades. Pat is survived by two daughters, Deanna Lynn of Huron, Ohio who lovingly cared for her in recent years, and Lisa Marie of Chico, California; as well as family pets including her cats Annie, Marty, and Beau and her “grand dog” Gracie, Lisa Marie’s Cavachon. Pat was preceded in death by her husband, Paul E. Gorman; her parents, Dr. Ross M. and Helen B. Knoble; her sister, Carol Greenfield; her paternal Uncle and Aunt Roland and Grace Reutler; her maternal Aunt and Uncle Ray and Florence Washing. Friends may call from 4:00 PM – 8:00 PM on Monday, November 12, 2018 at the Pfeil Funeral Home, Sandusky Chapel, 617 Columbus Avenue, Sandusky. Funeral services will be held at 10:00 AM on Tuesday, November 13, 2018 in the First Presbyterian Church, 265 Jackson Street, Sandusky. The Rev. Dr. Robert Bottoms will officiate. Burial will be in Oakland Cemetery. The family requests in lieu of flowers, memorial contributions be made to Back to the Wild, P.O. Box 423, Castalia, Ohio 44824 or Stein Hospice Service, 1200 Sycamore Line, Sandusky, Ohio 44870. The family would like to thank the staff at Portland Place for the kind and compassionate care they provided to Pat.